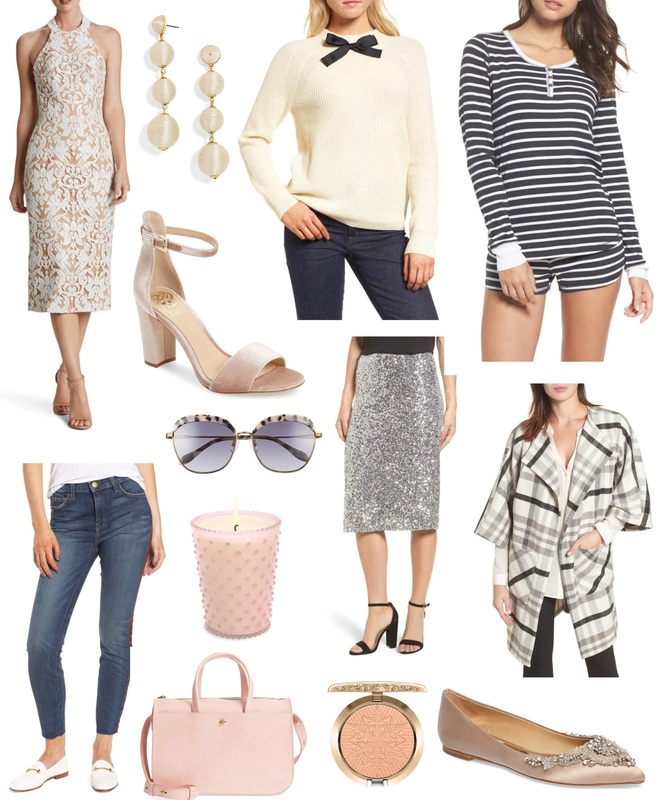 Nordstrom Half Yearly Sale & Cozy Finds! Hope everyone is enjoying their week! Sharing a few favourites from the Nordstrom Half Yearly Sale :) With temps plummeting back home, cozying up to warm winter finds is definitely top of mind. I love the cozy knits above and the odd flashy item like this sequin pencil skirt or shimmer midi dress! Speaking of cool temps, other items on my mind this week for boxing week sales include this ultra-warm sweater dress from Dynamite. I can picture it with flat over-the-knee boots and a pink scarf for a cute look at the office. I'm also loving this Garage crop sweater paired with a tartan print pencil skirt and black booties.